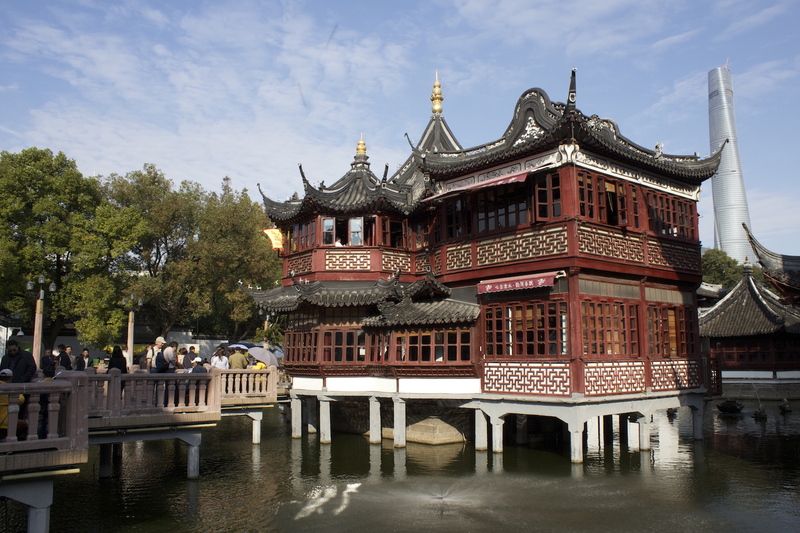 The famous 湖心亭 (“hu xin ting”), or Pavilion on the Lake, which has been a teahouse for more than 100 years. 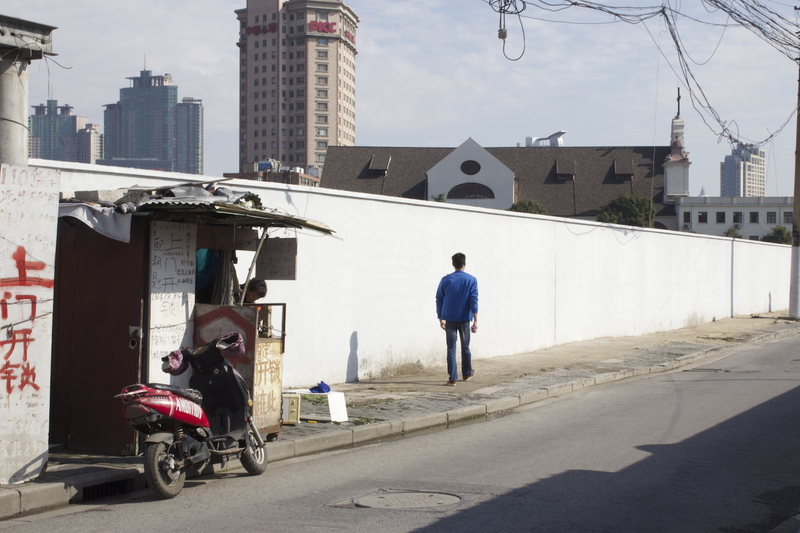 The city of Shanghai – as mentioned in my earlier post – consisted, actually, of three different municipalities with their own legal systems: the International Settlement, the French Concession, and the Chinese Old City. 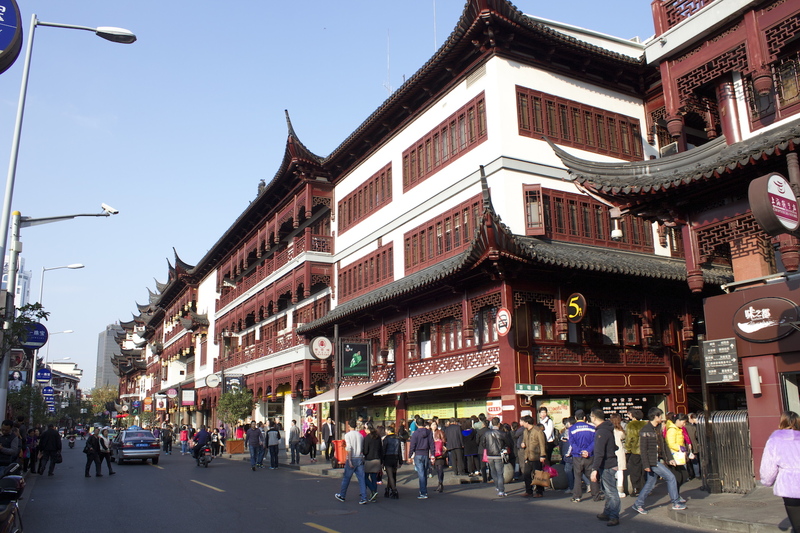 The Old City is ancient, having been in place since the 1200s, during the Sung Dynasty. 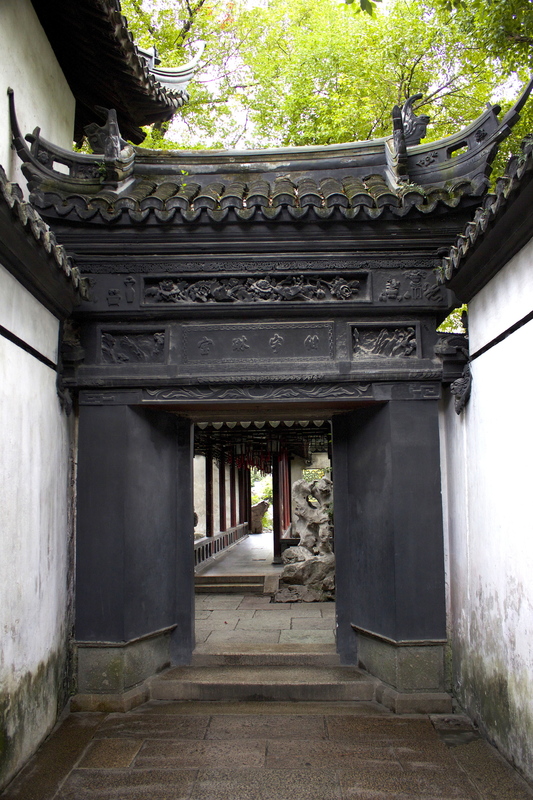 It was a walled city, which explains the use of the word “城”, which means a “walled city” (the Chinese have different words referring to different types of cities). 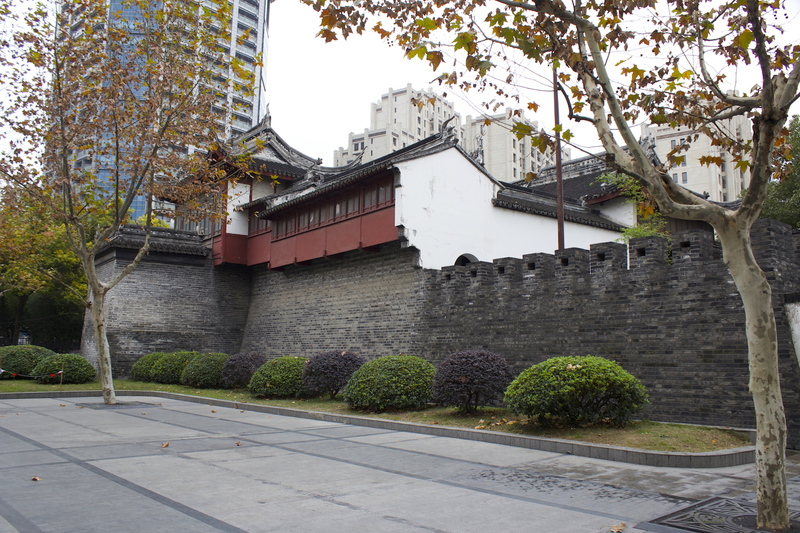 The wall itself had been built in the 1500s, during the Ming Dynasty, but most of it was removed during the early 1910s, in the aftermath of the fall of the Qing Dynasty. Traces of the old City Wall today are still present though, in the form of the roughly circular ring road that encircles what used to be the Old City proper. There is also one remaining section of the wall, to the West, which still stands today, and has been extensively restored. 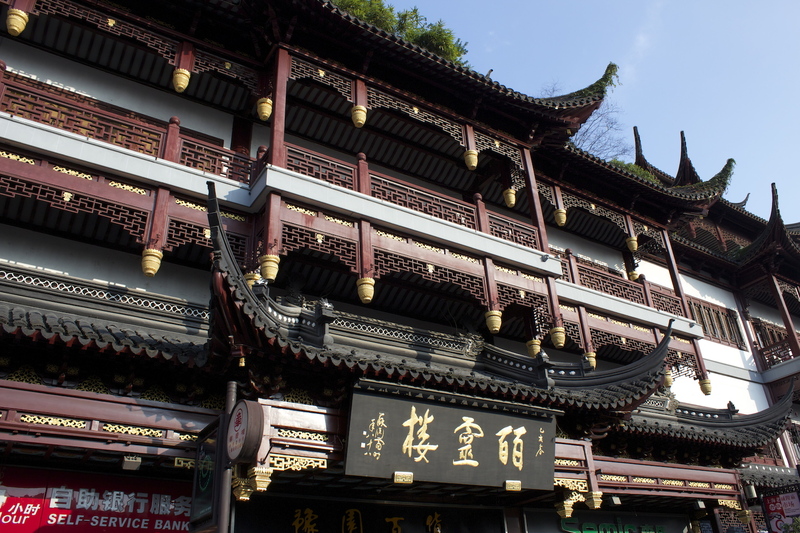 The two most famous sights in the Walled City were and are the Yuyuan Gardens 豫園 and the City God Temple 城隍廟, located to the northeast of the Old City. 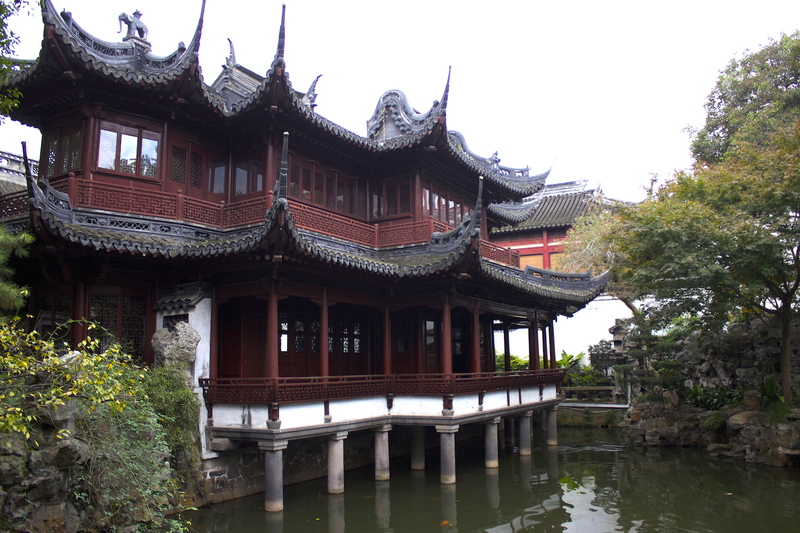 The former is a pleasure garden built in the traditional Suzhou style in 1559 by a wealthy governor of Sichuan province, originally from Shanghai. It has also been extensively restored but remains a delightful otherworldly Chinese experience in otherwise outwardly European Shanghai. 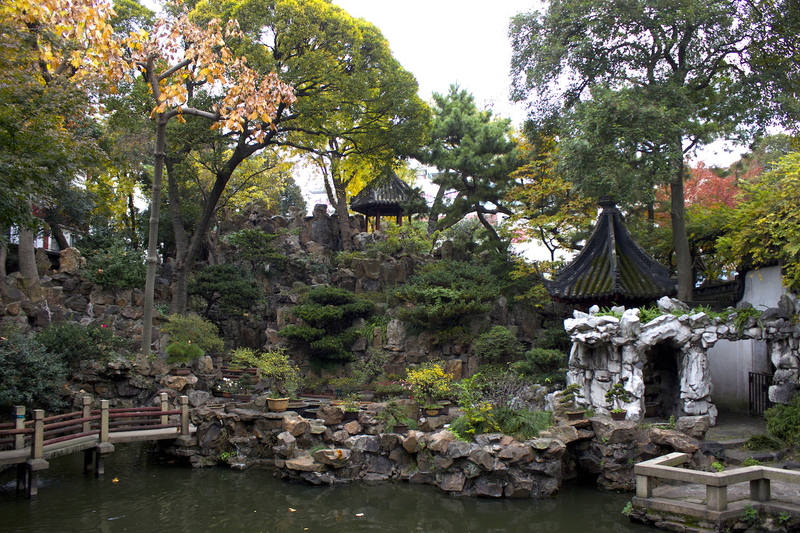 The City God Temple, nearby, is equally famous, though a whole lot smaller than the Gardens. 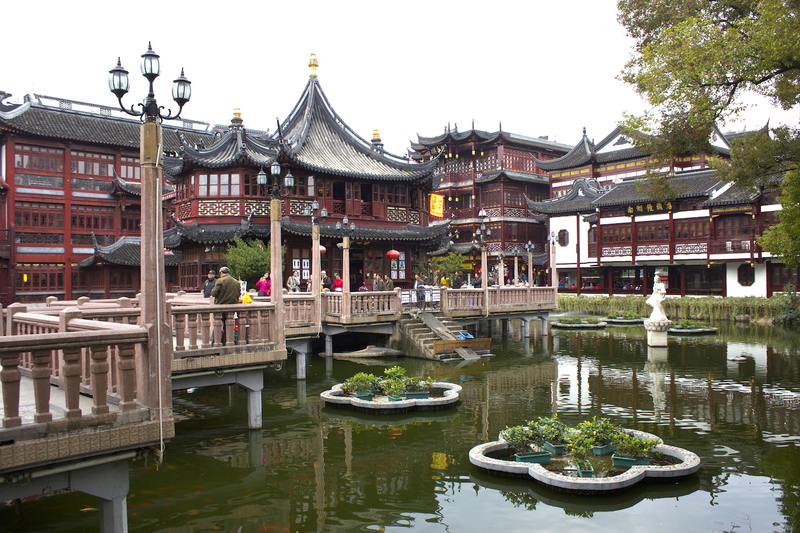 It sits within a former Chinese bazaar and market area that encircled the Yu Gardens – today, the original bazaar and market no longer stands. The whole lot had been razed to the ground and in its place were constructed modern-day multi-storeyed versions of the market – still a sight to behold, but somewhat Disneyfied in flavour. 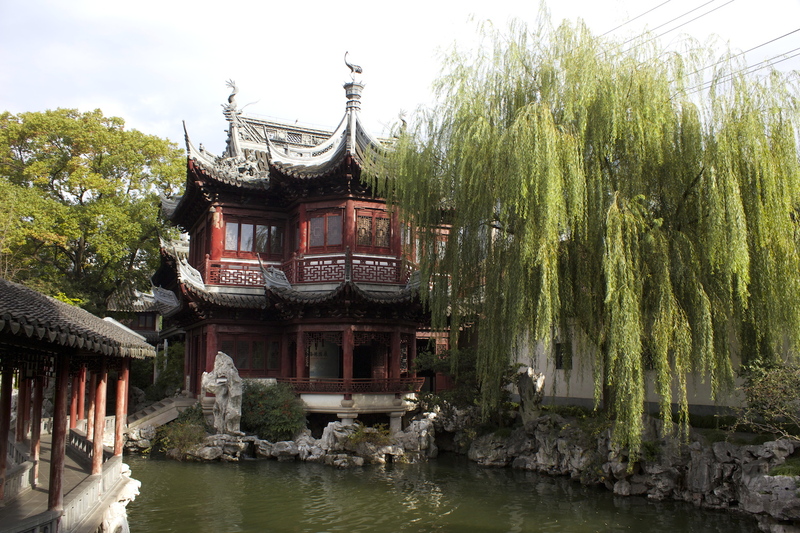 Especially by the Lake Heart Pavilion 湖心亭 – a teahouse on the lake; the third, most famous sight in the Old City. 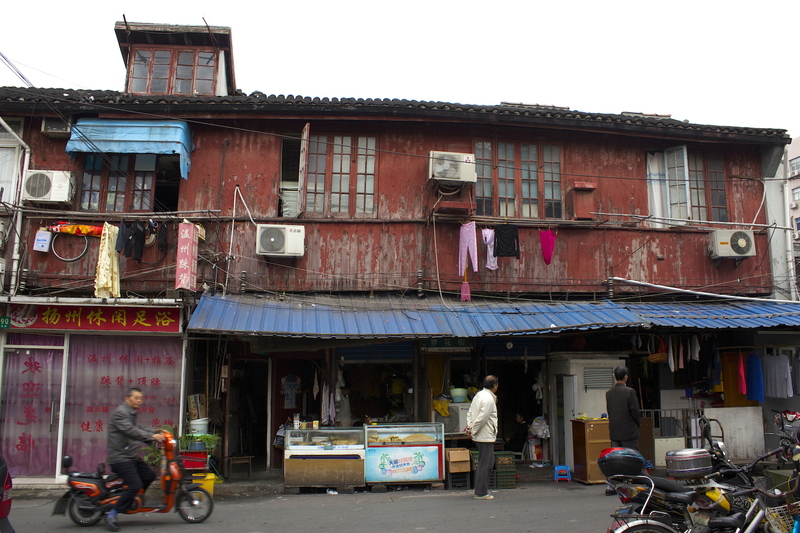 The true heart of the Old City sits further south of this commercial precinct surrounding the Yu Gardens, here, one finds remaining stretches of older forms of residential architecture that are in danger of being demolished. In fact, whole tracts of these traditional houses have already been bulldozed and have been replaced with high-rise hotels and apartments. More have been removed since then. 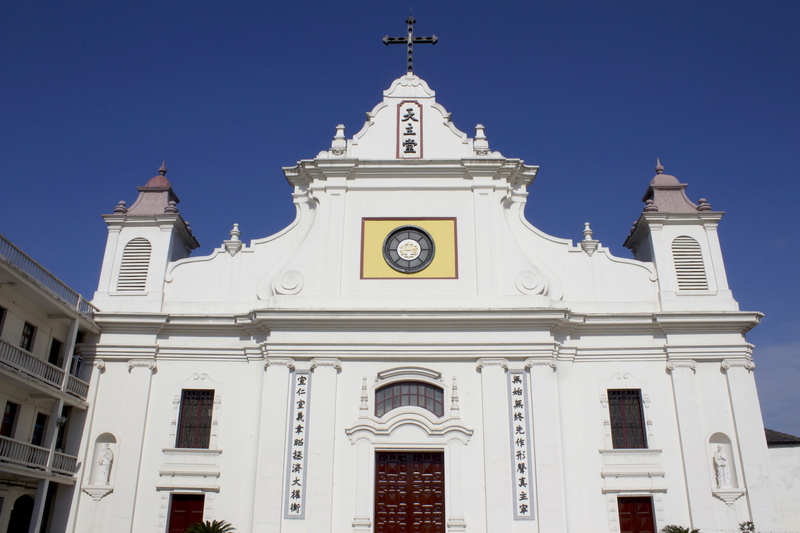 Thankfully, however, what still remains and is unlikely to be demolished are the Old City’s various places of worship, which together demonstrate just how eclectic and multi-religious the populace of the Old Town was. 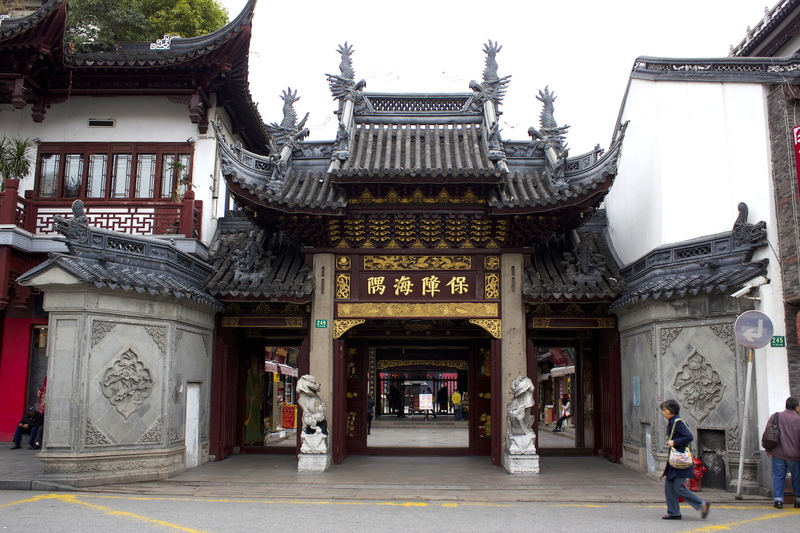 Here within and around the walls of the city were Taoist and Buddhist temples, as well as Mosques (which were called 清真寺, or “Temples of Purity and Truth”) and Cathedrals. 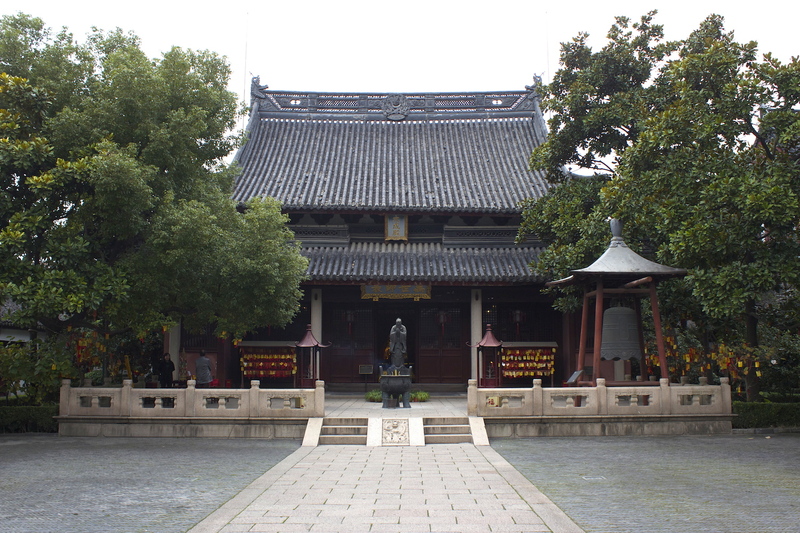 The Confucius Temple 文廟 － this is a must-see. A moment of calm and contemplation in the messy city. 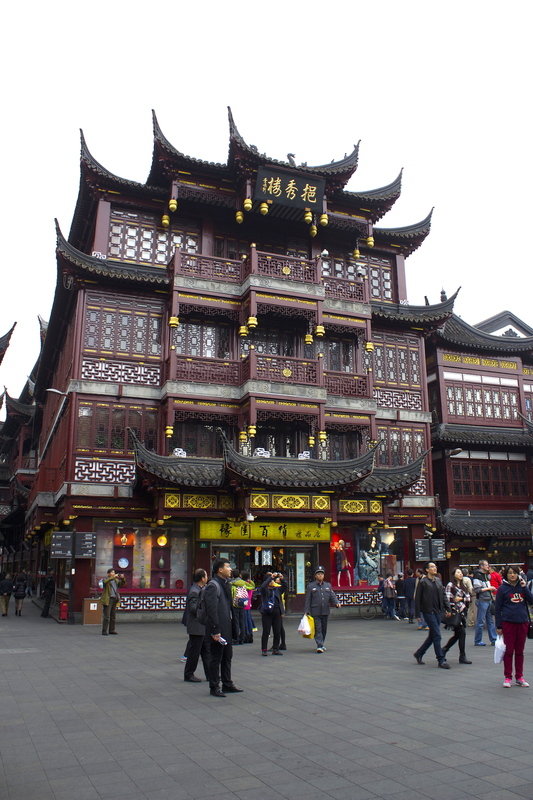 The entirely reconstructed and totally Disneyfied Commercial area surrounding Yuyuan. 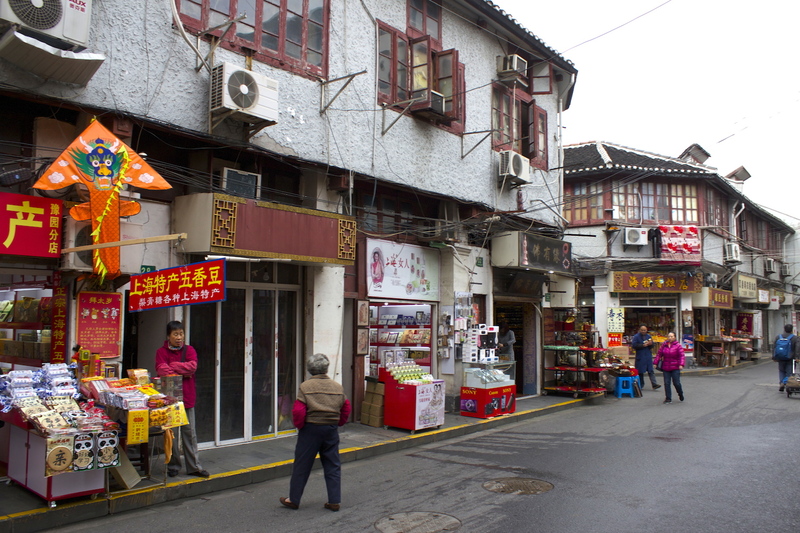 More of the Old City shopping street. 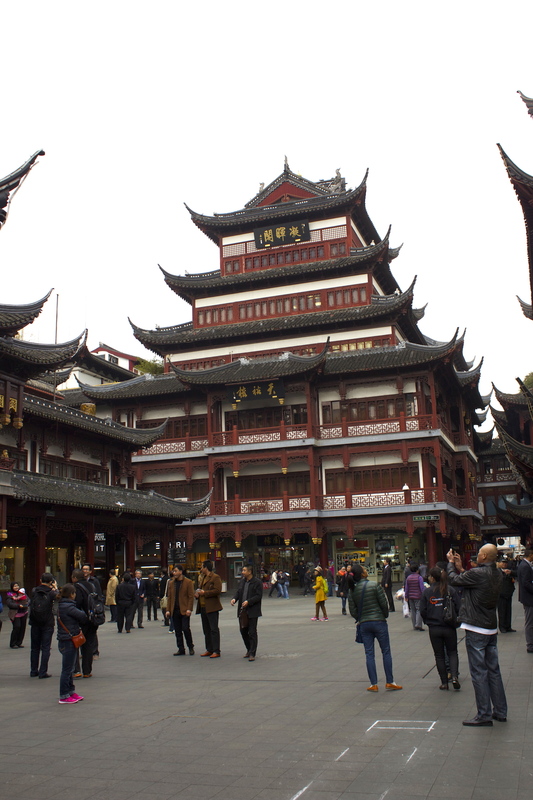 Huxinting Pavilion and the surrounding bazaar/market area. Monstrous multi-storey buildings approximating the original look and feel of the area, but built in concrete. 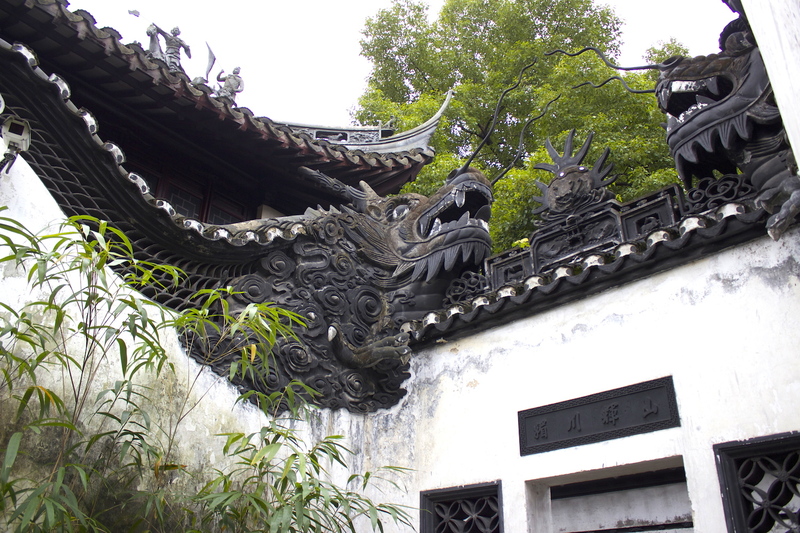 Walls built as dragon forms, Yuyuan. 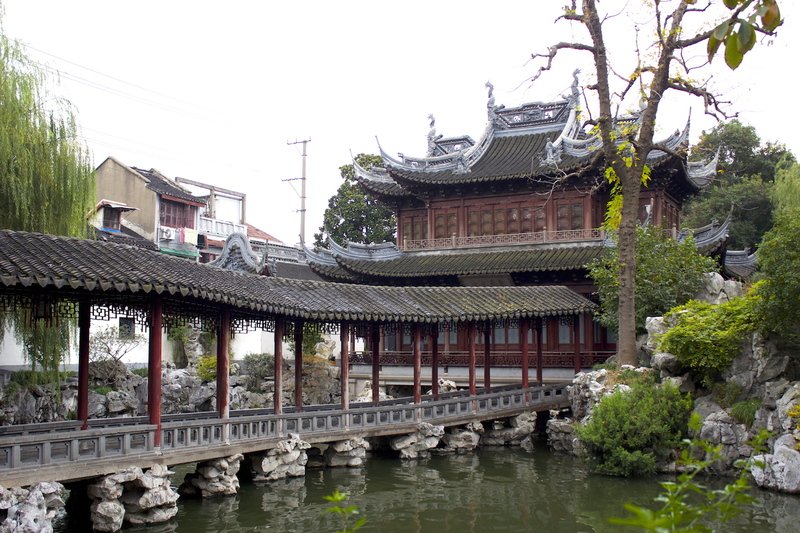 Covered bridge leading to pavilion, Yuyuan. 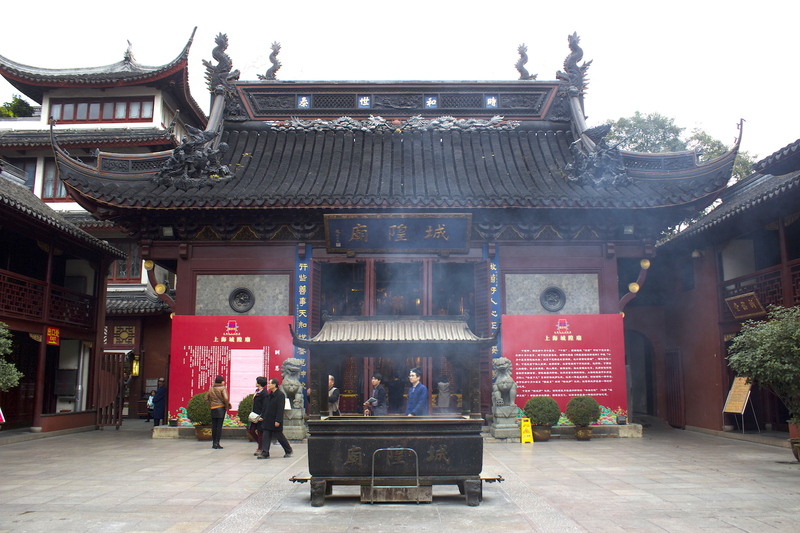 The interior of the City God temple, smokey with incense. 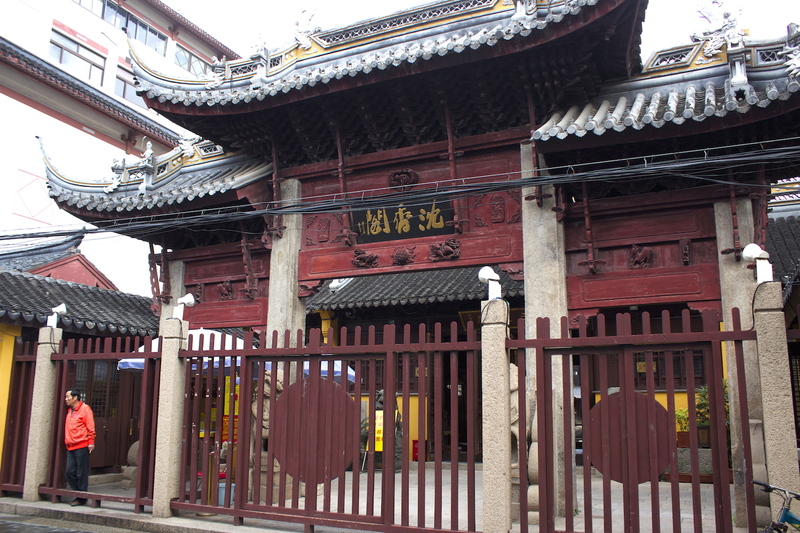 This is a Taoist Temple. 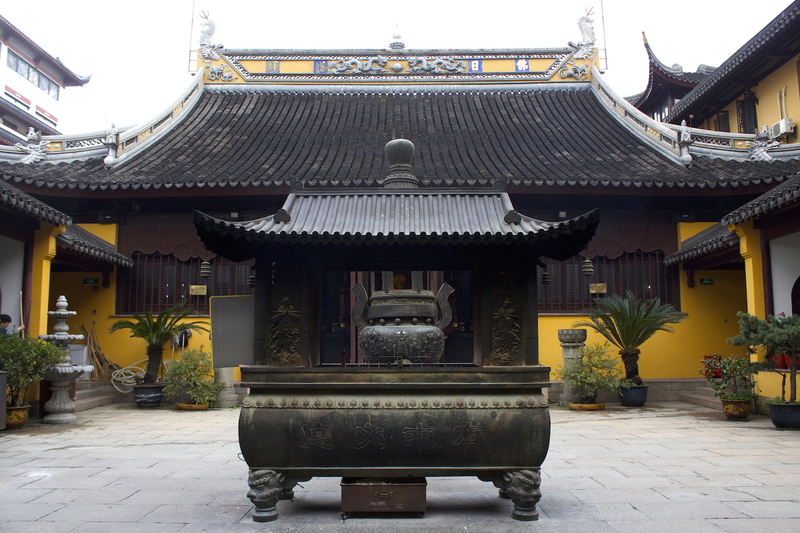 The interior of the Chen Xiang Ge, which is also a Taoist Temple. 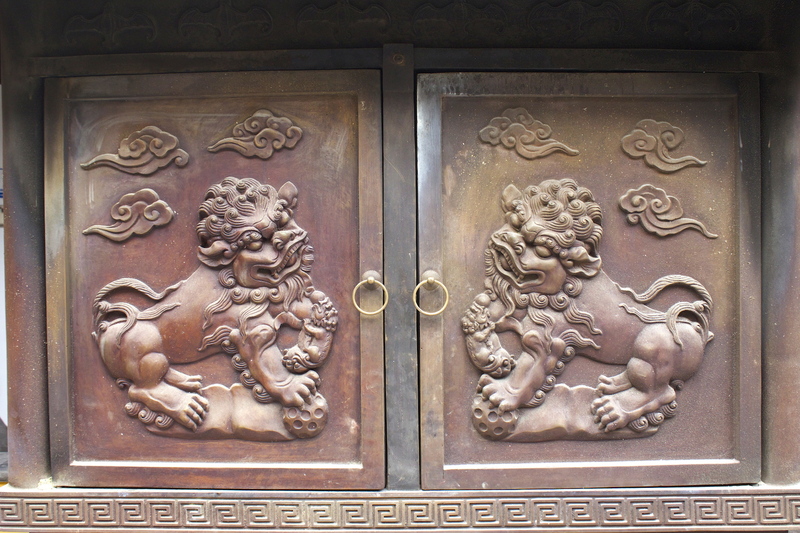 Detail of lions on a large incense burner, Chen Xiang Ge. 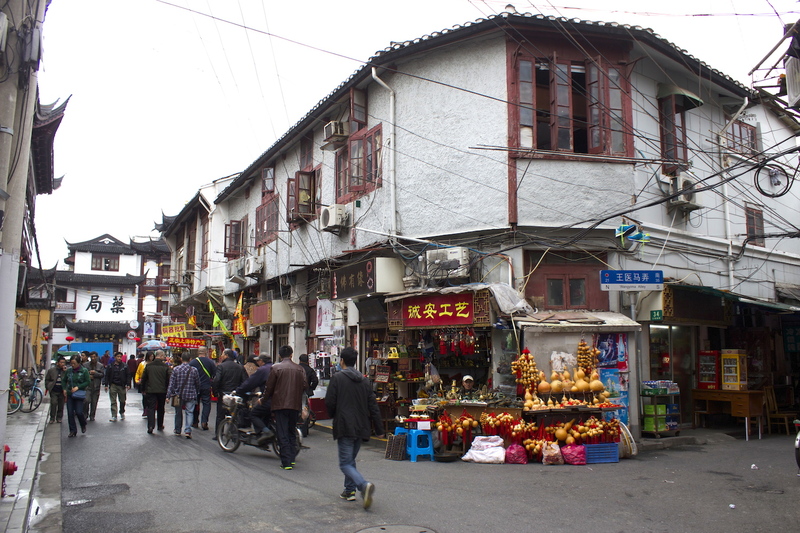 Real Old City streets just outside the Chen Xiang Ge. 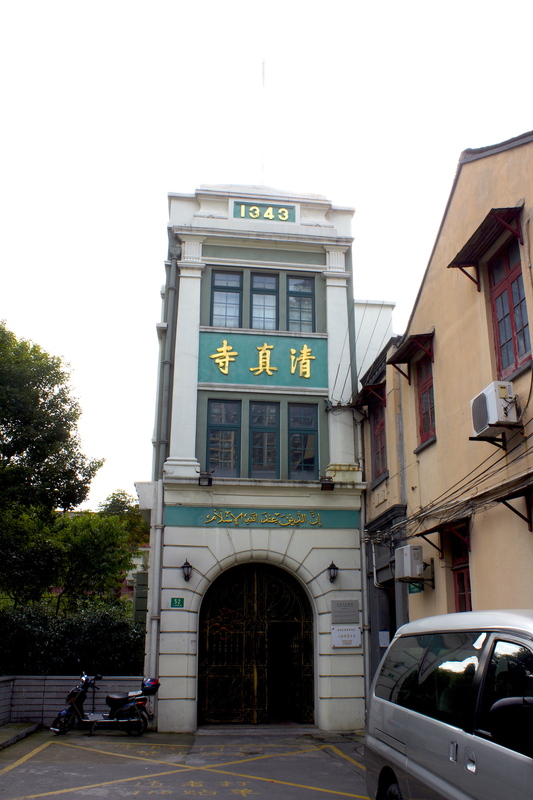 Down the street is the Fuyou Street Mosque. 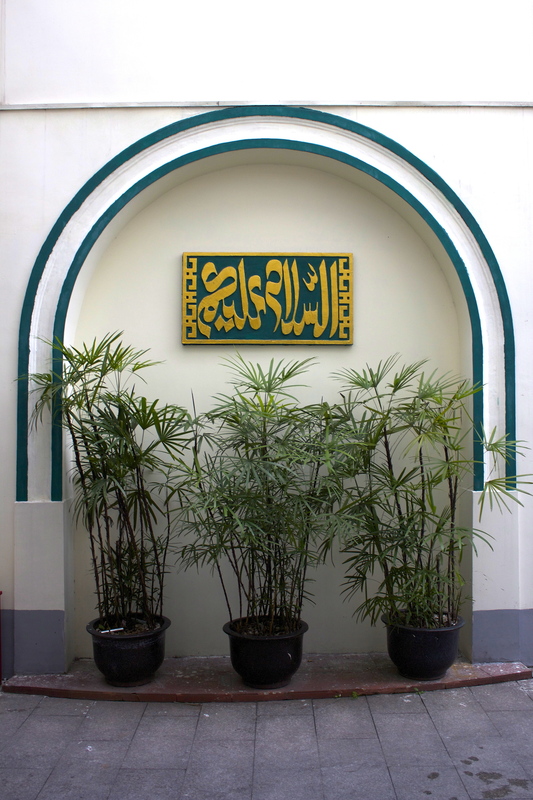 Interior of the Mosque, with its Arabic script. The last remaining section of the Old City Wall. 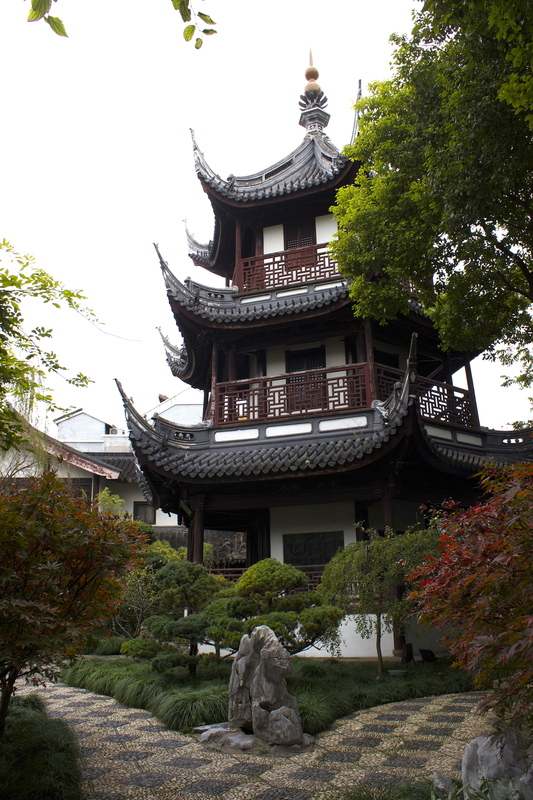 The White Cloud Pavilion 白雲觀 is a Buddhist Temple. It sits right by the section of the Old City Walls. Interior of the Bai Yun Guan. 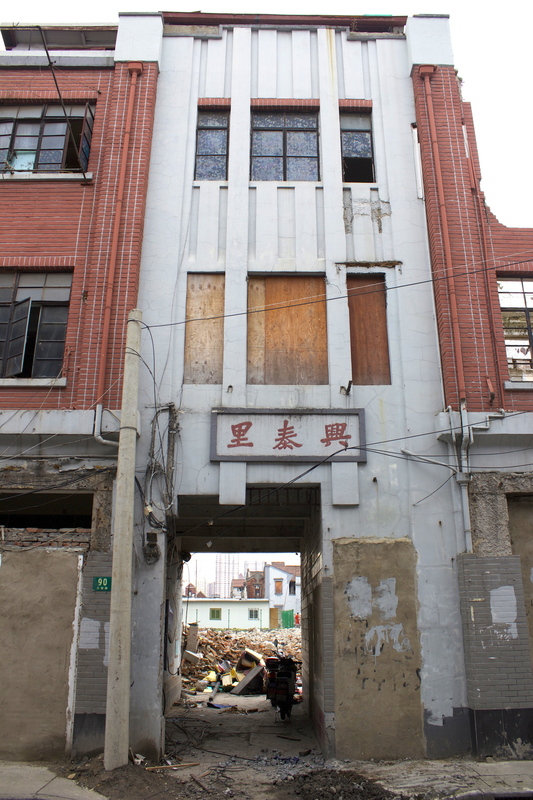 Old City edifices on the brink of demolition. 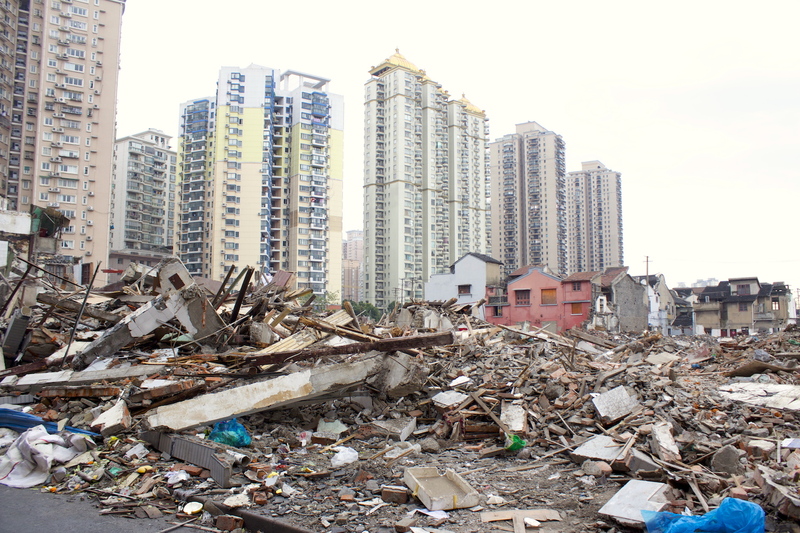 Whole tracts of old residences already destroyed, and the high-rises being built in their place. 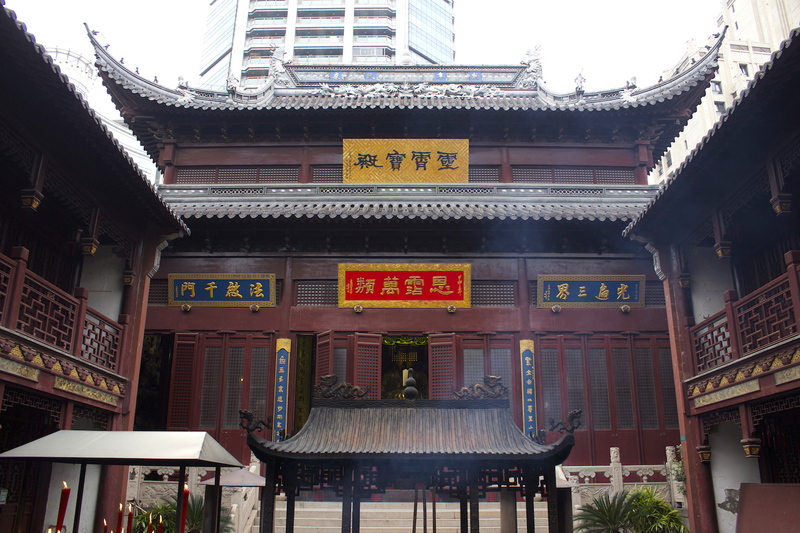 The Confucious Temple – 文廟 is THE highlight of any visit to the Old City. 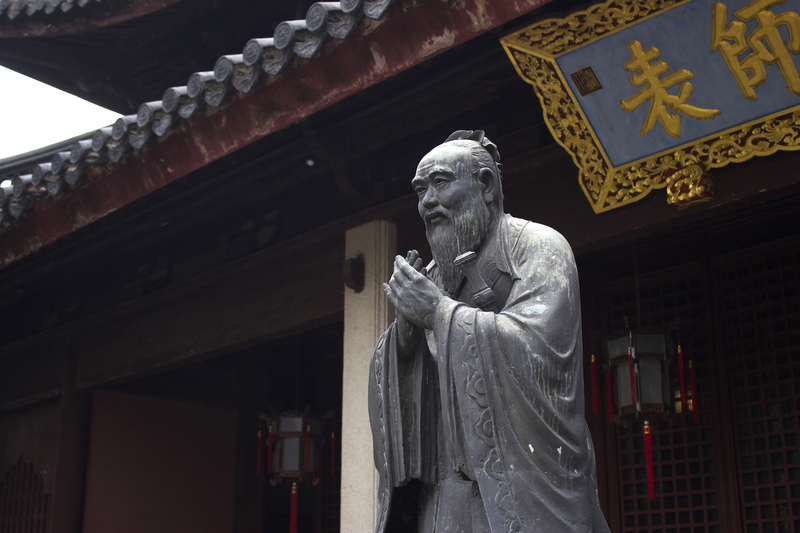 All Confucius Temples were also Academies, educating young boys in the Classics. 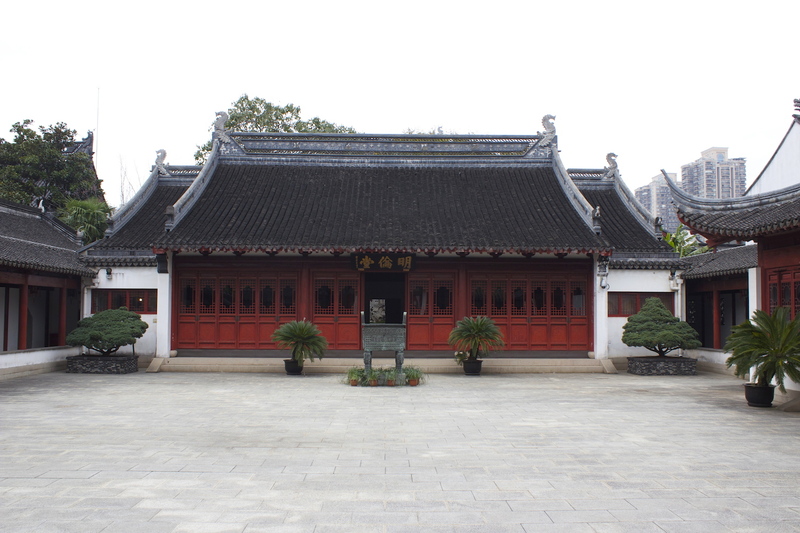 Kui Xing Pavilion – Pavilion dedicated to Kui Xing 魁星, the Deity of Literature. 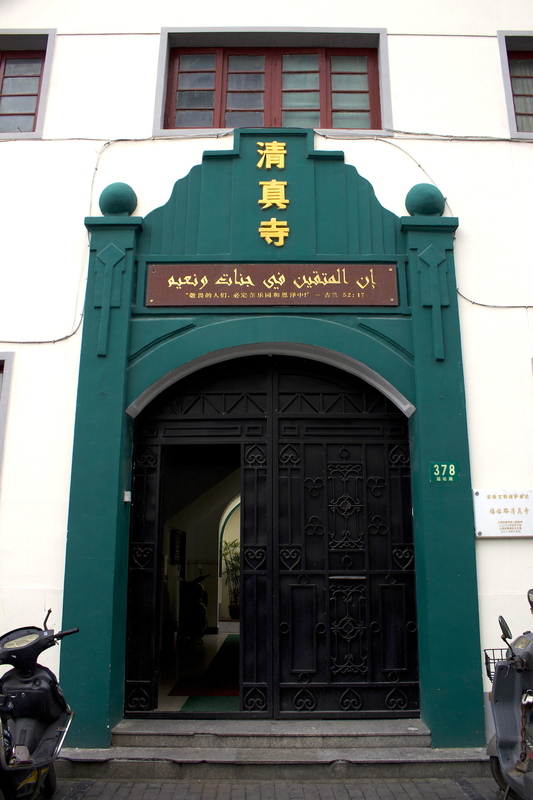 The Little Peach Garden Mosque 小桃園清真寺 was built in 1925 to cater to the Chinese Muslim (or “Hui” 回) Community. Inside the compound sits the mosque itself, which is topped by two golden domes – unfortunately impossible to photograph. 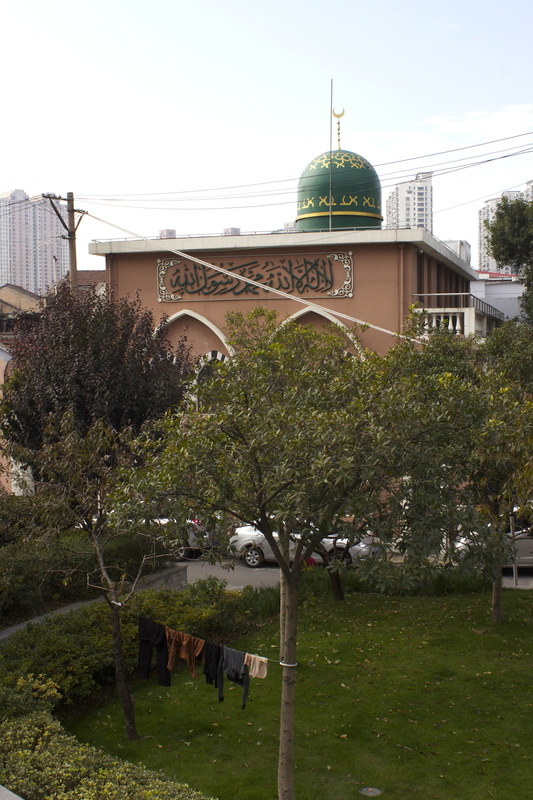 There is an adjacent Little Peach Garden Mosque for women – in Islamic tradition men and women prayed separately. 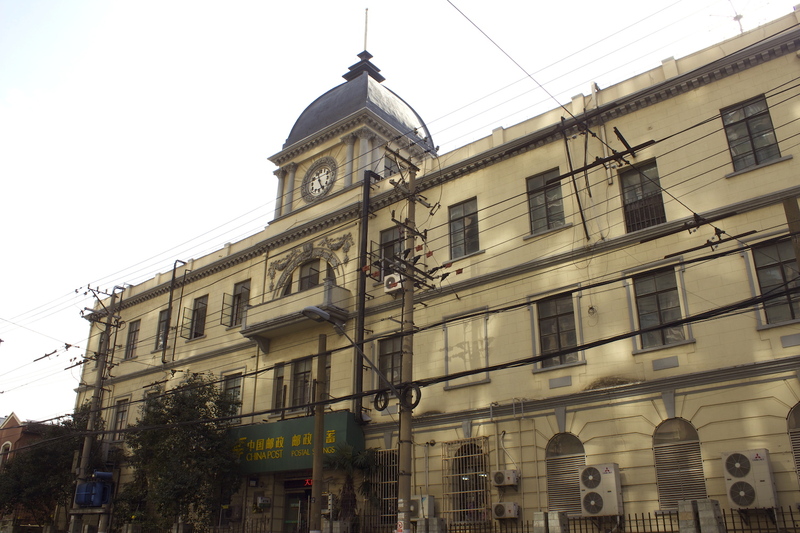 The Shanghai Telephone Exchange South District Branch, built in 1920 in a Neo-Classical Style. 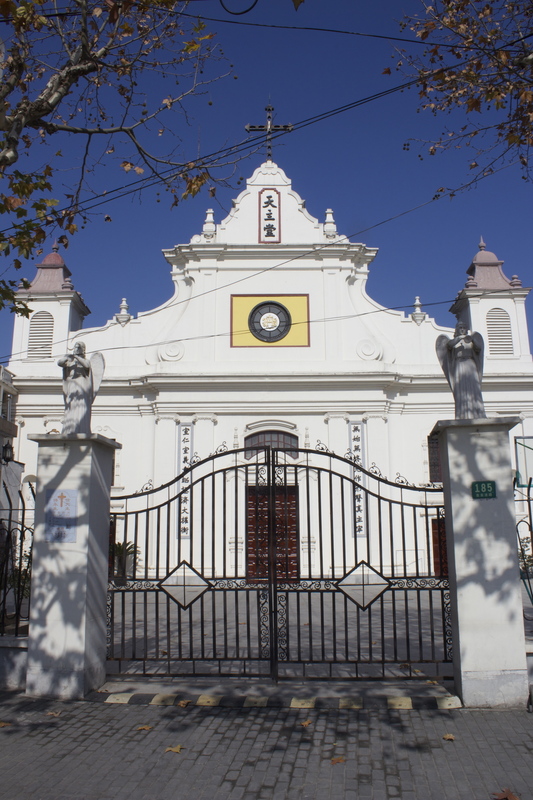 St Francis Xavier’s Church 董家渡天主堂 is the oldest Cathedrals in Shanghai, built in an Ibero-Portuguese style by Spanish Jesuits in 1853. It is a beautiful work of art. 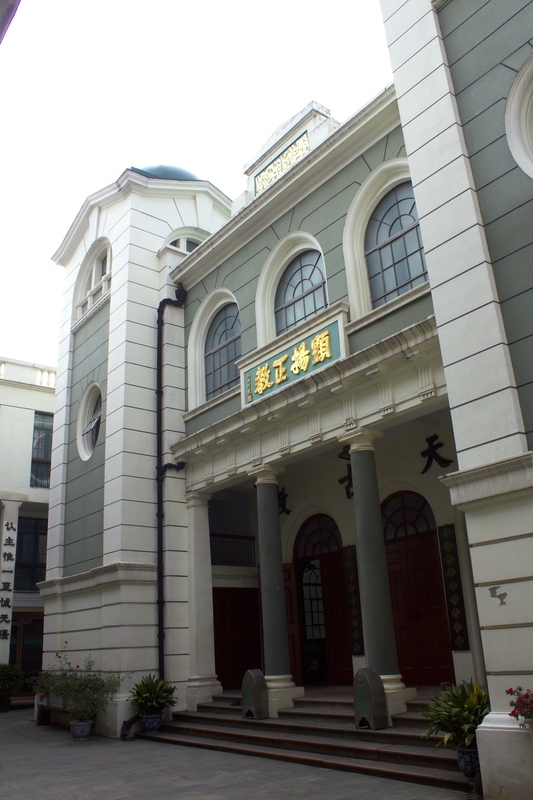 The area the Church sits in is Dongjiadu 董家渡 and was known as Tonkadoo by the Europeans. It means the “Dong Family Jetty,” the family in question having converted to catholicism. 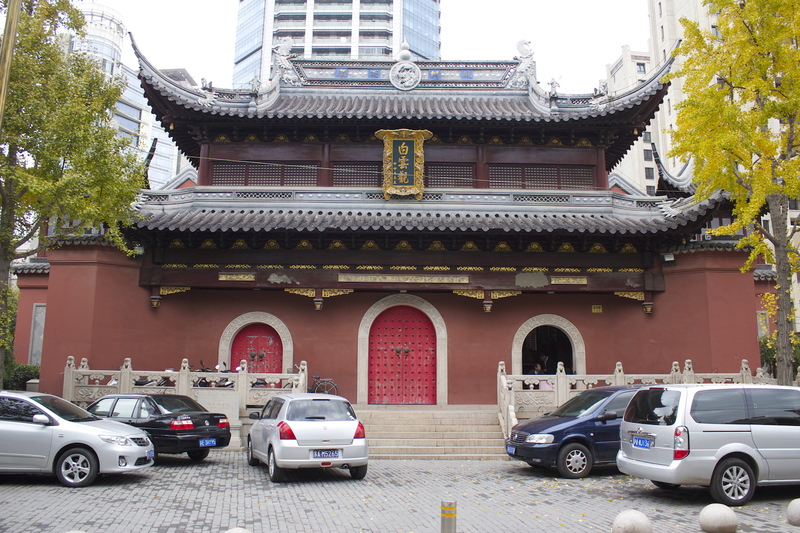 Unfortunately, the entire Dongjiadu area surrounding the Cathedral has been flattened, leaving the Cathedral itself sticking out anachronistically. No doubt massive hideous high-rises are due to be built here. What a pity. Gallery | This entry was posted in Art & Architecture, China, Cities & Regions, Landmarks & History, Photography, Travel & Mobility and tagged City God Temple, Dongjiadu, Shanghai, The Grand Tour, The Grand Tour of the Far East, The Old City, Yuyuan. Bookmark the permalink.